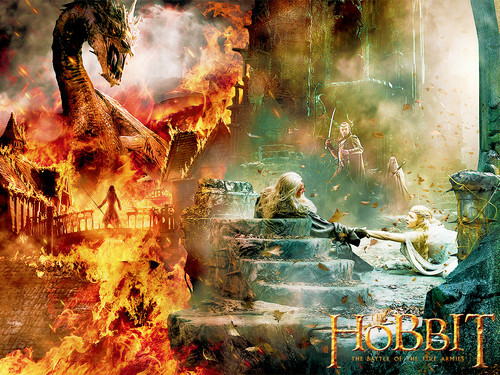 The Hobbit: The Battle of the Five Armies پیپر وال. . HD Wallpaper and background images in the The Hobbit club tagged: photo the hobbit the battle of the five armies 2014 wallpaper. This The Hobbit wallpaper contains آگ, شعلوں, نرک, and آگ کے شعلوں سے پراسرار. There might also be آگ کے and آگ.